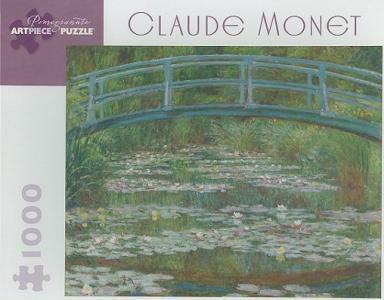 Monet began to paint the lily pond in his garden at Giverny while he was completing his series of Rouen Cathedral. In the last decades of his life, his prized water garden and the footbridge he built over it became his most importantand eventually onlysubject. He began construction of the water garden as soon as he moved to Giverny, petitioning local authorities to divert water from the nearby river. Monet remade the landscape with the same artifice he applied to his paintingsand then he used it, in turn, as his creative focus.